This house was designed in response to recent severe flooding in the Talamanca region of Costa Rica. 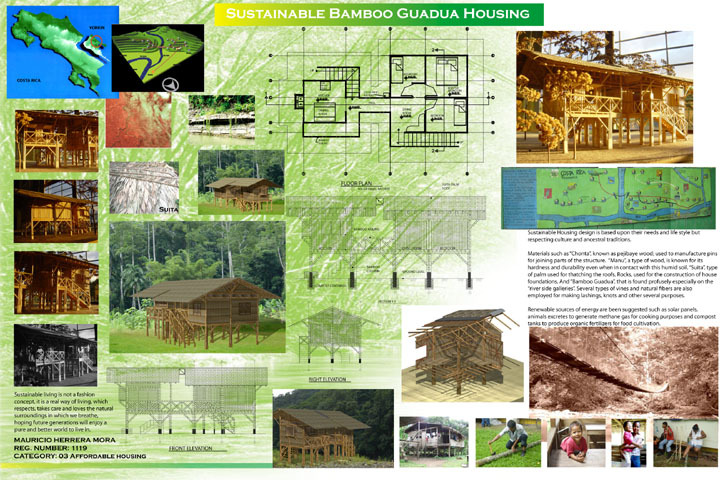 The foundation is built of rocks, and a few other local, durable woods are used within the construction, with a Guadua bamboo structure and palm thatch roofing. The philosophy of this designer is that sustainable housing is not a fashion concept, but a real way of living.